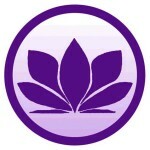 Kathy offers a variety of training classes and workshops to assist you on your spiritual path. To learn more about a type of training, click on either the image or training title. The Lightarian training is simple energetic attunements which raise your vibration and connect you with Angels, Ascended Masters, or Ascended Master Buddha to get their support in your life. 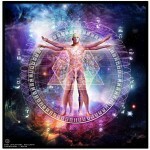 All Lightarian attunements raise your vibration, thereby aiding you in processing the energy shifts happening on Earth. Kathy South facilitates the Lightarian AngelLinks™, Lightarian Rays™, Lightarian Ascension Bands™ and Lightarian Reiki™ attunement programs. The Magnified Healing 1st Phase workshop prepares you for ascension by teaching you how to connect to the God Most High of the Universe. This is an experiential workshop. The ultimate goal is to become the person that you and the Creator intended you to be. 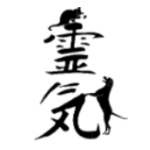 Reiki (pronounced Ray Key) is a system of natural healing rediscovered in Japan by Mikao Usui around 1920 and brought to the West due to Chujiro Hayashi's teaching of Hawaiian-born Hawayo Takata. The Japanese term "rei" translates to "universal" and the term "ki" translates to "life force or energy". So Reiki is essentially the "universal life force" that permeates all living things and exists everywhere. Reiki connects us with the Divine. Reiki can be used to heal body, mind, and spirit, including the chakra system, the cells of the physical body, and the layers of the aura for people and animals. Reiki treats the "cause" of a person's or animal's difficulty, rather than the symptom.